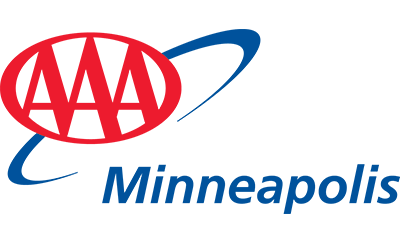 59 million AAA members strong and growing. RV coverage is an expansion of AAA Plus and AAA Premier benefits to the member’s motor home, pickup with camper, travel trailer, camping trailer and motorcycle. Member’s trailers for motorcycles, snowmobiles and boats are also covered. Members not currently carrying AAA Plus or AAA Premier must pay dues for Plus or Premier in order to upgrade to Plus RV or Premier RV, respectively. A one-time $15 enrollment fee is included on all new membership purchases. Road service benefits are available immediately after purchase. Your membership covers you as a driver or passenger. Towing, battery jump-starts or replacements, lockout service and more. Save time and money when you plan your next vacation with a AAA Travel Agent. Find great deals and exclusive member benefits. Competitive rates and expert service. Speak with an Insurance Agent to learn how members can save money with AAA. Save on car rentals, lodging, dining, movies, sporting events, theme park tickets and more. Discover how members save with AAA! Get the protection you deserve. Sign up for free identity theft monitoring with ProtectMyID® Essential. Sign up for automatic renewal and your annual membership dues will be charged to your credit card. Protect the ones you love with a gift membership from AAA. It's a great gift idea for birthdays, graduations or Christmas. Enhance your organization’s benefits package by offering your employees a AAA membership discount.